2. Have you ever discovered a “treasure” of your own that someone left behind? 3. How did growing up in a family of nine with a storytelling father impact your desire to become a writer? 4. When you first climbed up a tree with a pad and pen at age 11, did you know one day you’d become a famous writer? 5. 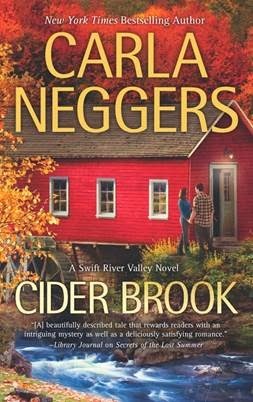 What do you love about the Swift River Valley series that sets the books apart from your others? So glad to see Carla delving into romantic mysteries/suspense. I like the mixture of the two in my romances. Thanks for the post!